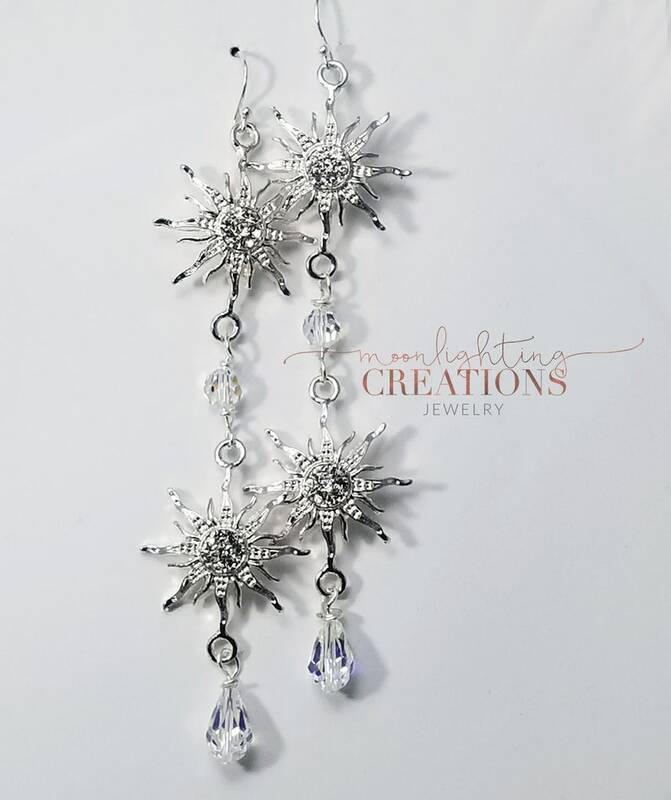 Custom Order...Sterling Silver ear wires, silver clear rhinestone sunburst crystal charms, swarvoski crystal round beads and pear shaped swarvoski beads. Earrings are about 3 inches long. Beautiful earrings, great for everyday wear or theatrical performances.